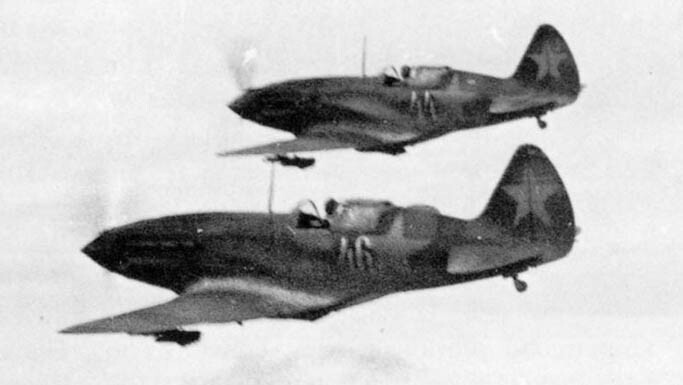 During the summer and fall 1941, Zavod 1 was producing MiG-3s at a rate of about 500 for month; the aircraft was widely diffused in VVS units. The production was reduced after October 1941, due to the moving of the factory from Vnukovo, near Moscow, to Kuybyshev, in the Urals, to save it from air raids and from a possible occupation by advancing German troops. "Shot downed "Rata" on the way to -Karatscher- 7.10.41". For German soldiers, all single fighters were "Rata", all SBs were "Martin Bombers". The plane looks to have had an hard landing. On the tail, we see traces of a star and of a dark number 9, possibly deleted with a lighter shade of paint. 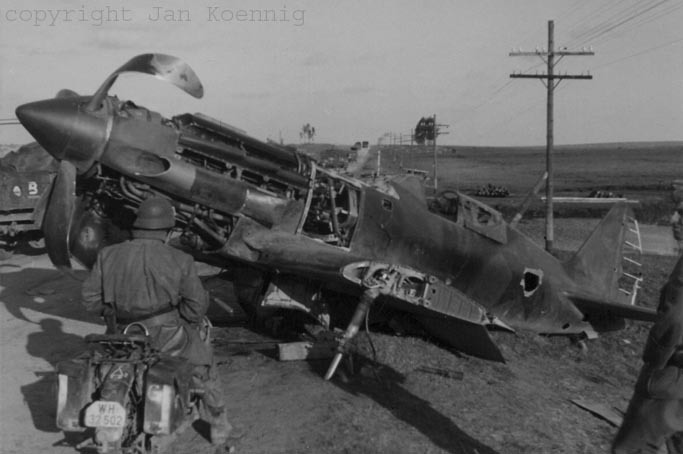 This plane, captured by the Germans, features the "za rodinu" ("for homeland") inscription on its side. The photos were taken in different times, probably during fall 1941. 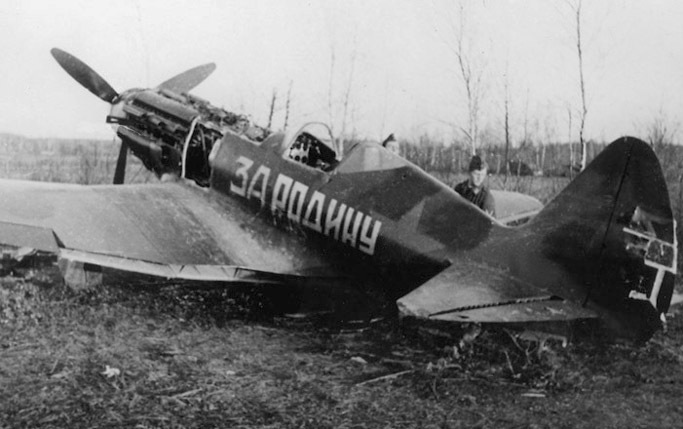 Although its tail wheel doors are still of the early style and the lack of its engine cowling, some details of the engine cowling are typical of late type MiG-3s. Note the apparent deletion of the star on the tail with green paint. These aircrafts are flying over Moscow, probably during the fall of 1941. Note the underwing rockets, the fixed tail wheels and the opened canopies. The camo is green and black. 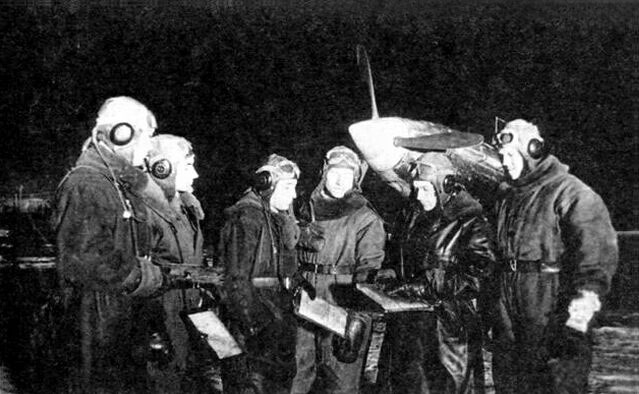 Pilots of unknown unit before night combat mission. Moscow front. 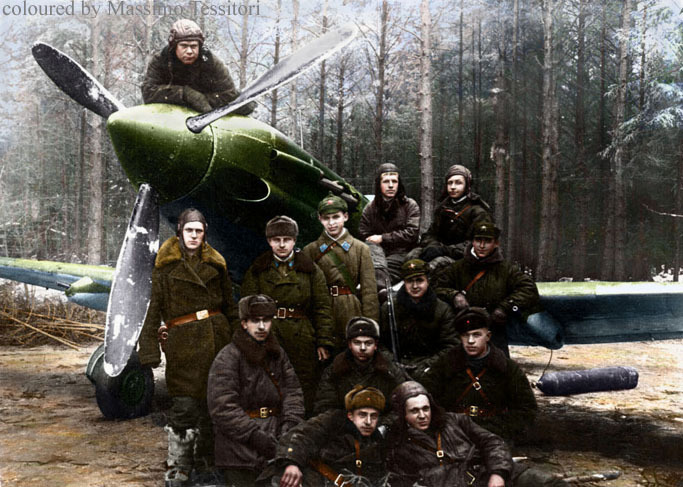 At first, only few pilots of the Moscow PVO were trained for night operations. This excellent unpublished photo shows many Soviet pilots and ground crew with different styles of uniforms, some of archaic army type. 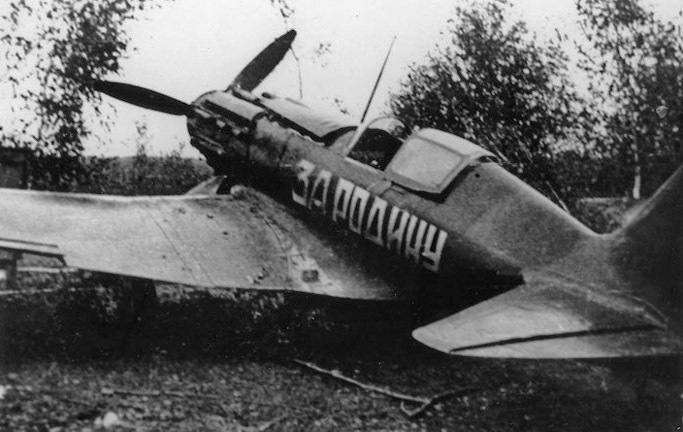 The aircraft is a late production MiG-3 with pipe for inhert gas near the exhaust stack, with radio mast, with slats and underwing gun pods. Note the unusual painted propeller blades and the compressed air bottle on the ground. The aircraft and the pilots are of 180 IAP (later made a Guard regiment as 30 GIAP), 6 IAK PVO, on the Borki airfield near Moscow.. In August 1941 the 180IAP faced combat in Rzhev region. On October 13th, 1941 the regiment was located in the airfield Yorshi, north to Rzhev. After this airfield was sieged by Germans the regiment moved into Taldom, near Tver. They landed at Borki airfield on 17th of October 1941. As a date for the photo, one could hypothize late October or November 1941 because of traces of snow in combination with some archaic elements (uniform and gun pods) and the apparent absence of mud. 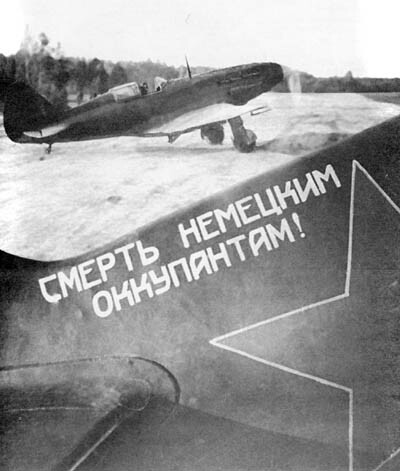 An aircraft with the slogan "Smert nemetskim okkupantam!" (death to the German occupants!). The aircraft has a thin outline around the stars. The front part of the spinner appears slightly lighter; it could be white or red. Here is another shot of the same aircraft. On the background is visible another aircraft, probably yellow or azure 1. Note the partially white spinner. Here is a MiG-3 of the 7 IAP, Leningrad front, in October 1941. The stars look white, but this could depend on the type of film used; it can be seen on many photos of that period.